This anthology of Native American poetry, song and ritual, presents texts from a wide range of culture areas. The translations are largely based on work by anthropologists, and all reflect genuine Native American lore. These poems come from a place in which magic, art and ritual are indistinguishable. The poetic faculty is, of all man's modes, the most responsive to natural environment, the most sensitive and the truest record of his reactions to its skyey influences, its floods, forests, morning colors. It is the first to register the rise of his spirits to the stimulus of new national ideals. If this were not so there would be no such thing as nationality in art, and it is only by establishing some continuity with the earliest instances of such reaction that we can be at all sure that American poetic genius has struck its native note. Therefore it becomes appropriate and important that this collection of American Indian verse should be brought to public notice at a time when the whole instinctive movement of the American people is for a deeper footing in their native soil. It is the certificate of our adoption, that the young genius of our time should strike all unconsciously on this ancient track to the High Places. Poetic art in America, at the time it began to be overlaid by European culture, had reached a mark close to that of the Greeks at the beginning of the Homeric era. The lyric was well developed, the epic was nascent, and the drama was still in the Satyris stage of development, a rude dance ritual about an altar or a sacrificial fire. Neither poetry nor drama were yet divorced from singing, and all art was but half-born out of the Great Mystery. Magic was sung, and songs had magic power. Both were accompanied by appropriate bodily movement, so that an Indian will say indifferently, I cannot sing that dance, or I cannot dance that song. Words, melody and movement were as much mixed as the water of a river with its own ripples and its rate of flowing. Hum a few bars of a plainsman's familiar song, and he will say, puzzled, "It ought to be a war song," but without the words he will scarcely identify it. Words may become obsolete so that the song is untranslatable, but so long as enough of it remains to hold together the primary emotional impulse out of which it sprang, the Indian finds it worthy to be sung. He is, indeed, of the opinion that "White man's songs, they talk too much." This partly explains why most Indian songs are songs for occasions. The rest of the explanation lies in the fact that songs have magic power. Tiráwa, Wokonda, The Friend of the Soul of Man, is in everything; in the field we plant, the stone we grind with, the bear we kill. By singing, the soul of the singer is put in harmony with the essential Essence of Things. There are songs for every possible adventure of tribal life; songs for setting out on a journey, a song for the first sight of your destination, and a song to be sung by your wife for your safe return. Many of these songs occur detached from everything but the occasion from which they sprang, such as the women's grinding song, measured to the plump, plump! of the mealing stone, or the Paddle Song which follows the swift rhythm of the stroke. Others, less descriptive and retaining always something of a sacred character, occur originally as numbers in the song sequences by which are celebrated the tribal Mysteries. Back of every Indian ceremony lies a story, the high moments of which are caught up in song, while the burden of the narrative is carried by symbolic rite and dance. The unequal social development of contemporaneous tribes affords examples from every phase of structural development from the elemental dance punctuated by singing exclamations to the Mountain Chant of the Zuñi in which the weight of the story has broken down the verse variants into strong simple forms capable of being carried in a single memory. Halfway between them is the ritual sequence of the Midéwan. The practical necessity of being preserved and handed on by word of mouth only, must be constantly borne in mind in considering the development of Indian verse forms. It operated to keep the poetry tied to its twin-born melody, which assisted memory, and was constantly at work modifying the native tendency to adjust the rhythm to every changing movement of the story. Ancient Chippeway singers kept ideographic birch bark memoranda of their songs, and wampum belts commemorated the events that gave use to them, but the songs themselves came down from their ancient sources hundreds of years in the stream of human memory shaped by its limitations. 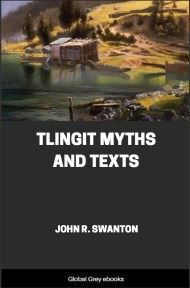 From the Zuñi Creation Cycle with its sustained narrative style to the Homeric Epic is but one poetic bound, the space between them, represented in old world literature by the Norse Sagas and the Kalevala, indicated but not filled, in America, by prose relations. It is probable that if we had anything like adequate records of the literature of vanished tribes, this pre-Homeric period would show notable examples of epic stuff. Nobody really knows how the Walam Olum or the Creek Migration Myths were recited. They embodied whole epochs of tribal history, to which the known literary remains were merely the mnemonic key, a tally of significant items. In every tribe are floating songs which appear to be fragments from a story sequence the key of which has been lost, and it is not unlikely that records like the Red Score would have owned complete, if detached, narratives of the historic events so slightly indicated, some of which may yet yield themselves to the patient researcher.